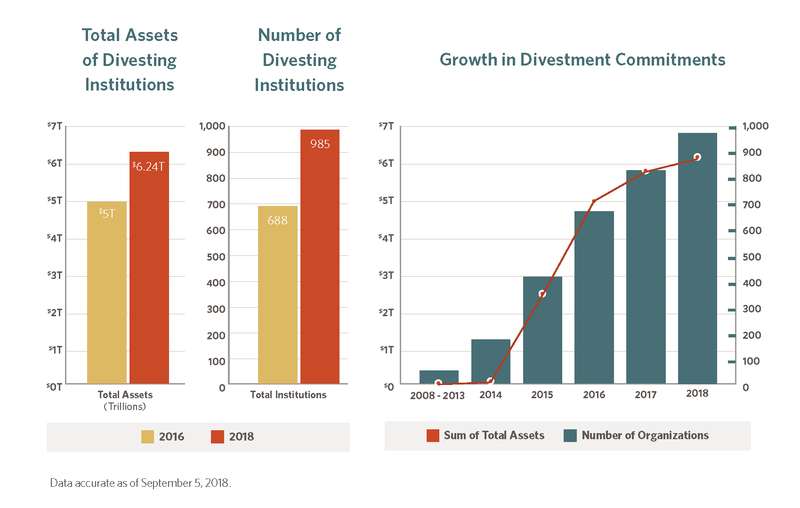 Since 2013, Arabella Advisors has been tracking the global fossil fuel divestment and clean energy investment (or “divest/invest”) movement and publishing reports analyzing its growth and development. Today, our team published its latest report on the movement, timed in conjunction with the Global Climate Action Summit currently taking place in San Francisco. The divest/invest movement is a global push to convince a wide range of investors to stop investing in fossil fuel companies (“divest”) and invest instead in companies providing solutions to climate change (“invest”). It was launched by college students in 2011 as a moral call to climate action and has rapidly grown into a mainstream financial movement, backed by arguments based on ethics, finances, and fiduciary duty. Arabella Advisors has published three previous reports on the maturing movement, in 2014, 2015, and 2016. To learn more about Arabella Advisors’ work on climate and conservation, click here or send us an email here.